Lithium of Afghanistan is equal to Saudi Arabia oil . All companies in the world including Apple, Samsung and even NASA are called lithium. Because lithium batteries used mobile and other new technology. Hajigak iron reserves in the amount of two billion tons.U: No one has ever been able to confirm its value and is used in the manufacture of nuclear technology. There mines in Helmand and Kunar. 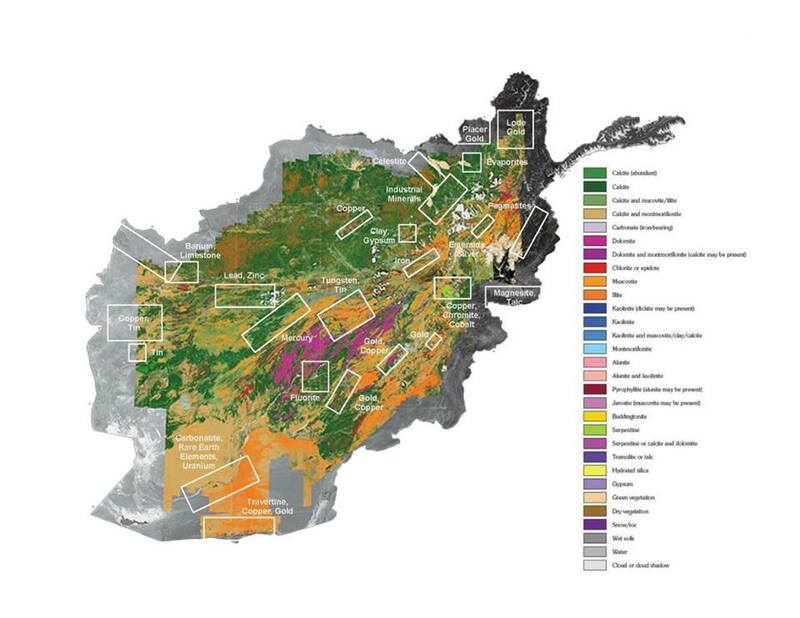 Copper deposits in Afghanistan equals the world's largest and most valuable copper mine in Chile. Gold is the largest gold mines in the world right now in Afghanistan are intact and very little that is extracted from the non-technical manner enemies. Emerald: quality emeralds than Colombia and the world's reserves are located in Panjsher and Nuristan. Azure: the highest quality, largest and oldest lapis world, even Pharaoh of Egypt, the lapis lazuli mines exploited in their mansions used. This precious stone Taliban's long-term survival. Water: Afghanistan every year more than 50 billion cubic meters of water free of charge to the neighbors that is worth at least fifty billion dollars or 50 billion dollars! Diamond: Diamond opaque and painted yellow, green and red have been found wanting in some parts of the country said that if it was mine and extract even more quality and more valuable than diamonds will be African.